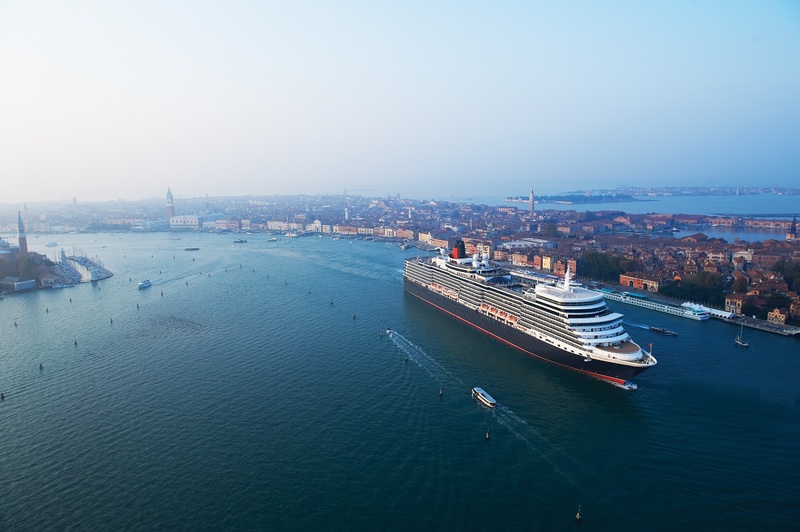 Luxury cruise brand Cunard, is honouring the 50th anniversary of its longest serving ocean liner, QE2, with a special voyage onboard the luxury cruise liner Queen Elizabeth. The 50th anniversary of this much-loved ship will be remembered as Queen Elizabeth sets sail from Southampton on Friday 8 September for a 17-night voyage. Departing guests will enjoy Venice’s iconic canals, mythical Mount Etna in Sicily and Corfu’s leafy beauty. Celebrations focus on five special theme days, each of which will be accompanied by QE2 inspired menus, talks from special guests, historical snippets in the daily programme, past-passenger gatherings and QE2 quizzes. Themes include Moving in Royal Circles which looks back at the unique and special bond between QE2 and the Royal Family; The Falklands which acknowledges the ship’s service as a troop ship in the 1982 conflict; Triumph of a Great Tradition examining the QE2’s remarkable career achievements and the long history of Cunard ‘firsts’, and World Flagship in tribute to QE2’s 26 world cruises that made her an icon in cities across the globe. Celebrations culminate on QE2 Day – 20 September 2017 – exactly 50 years since the ship was launched by Her Majesty Queen Elizabeth II. Events will include a QE2 ball, and a historical retrospective of the ship’s service life to be hosted in Queen Elizabeth’s 850 seat Royal Court Theatre. Other guests include Commodore R. W. Warwick who served as QE2’s Captain for 13 years; QE2 social hostess Maureen Ryan who served onboard the original Cunard Queens as well as Queen Mary 2; and maritime historian Chris Frame, author of a series of books about QE2 and Cunard.